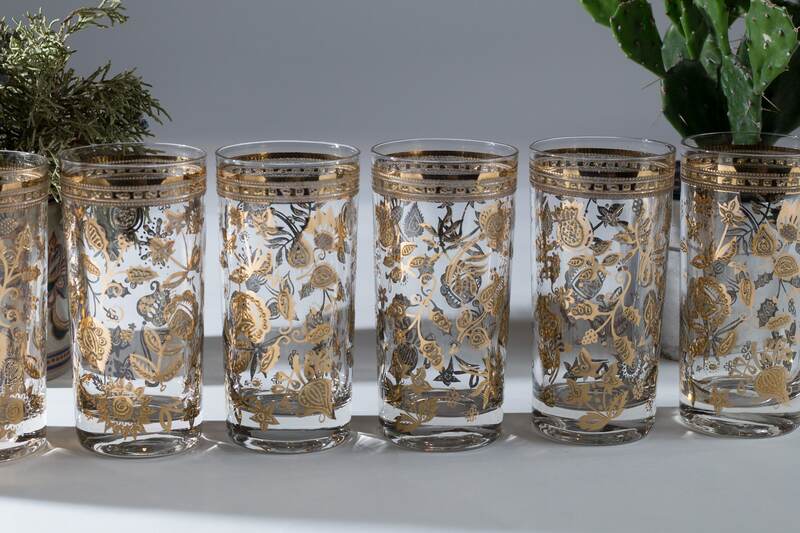 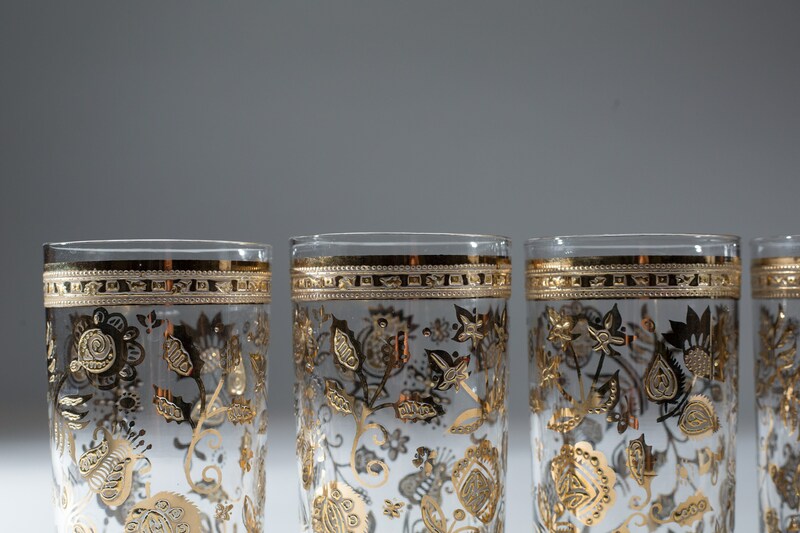 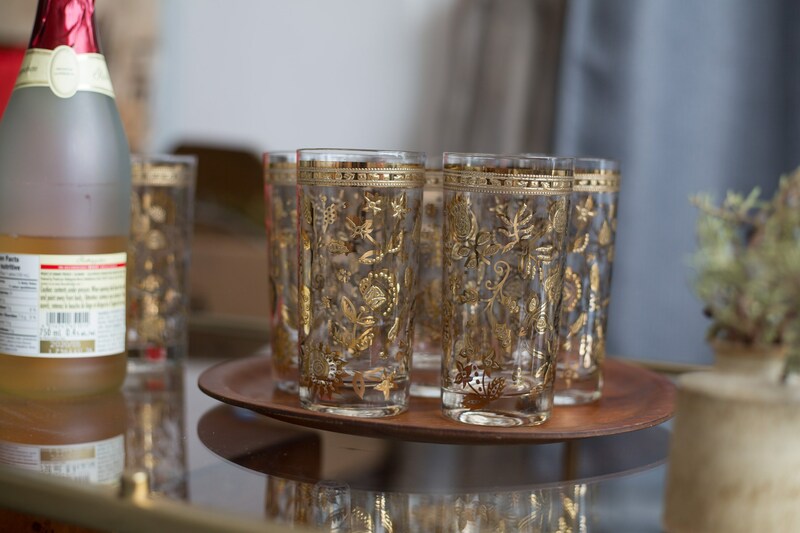 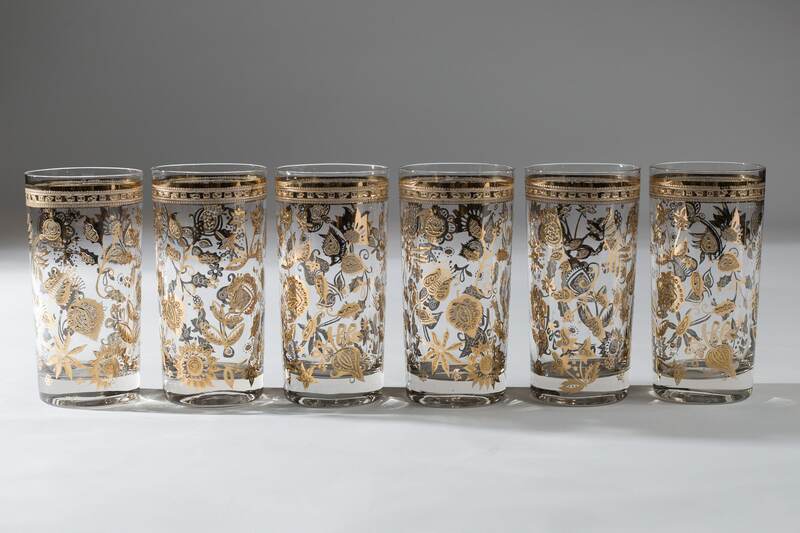 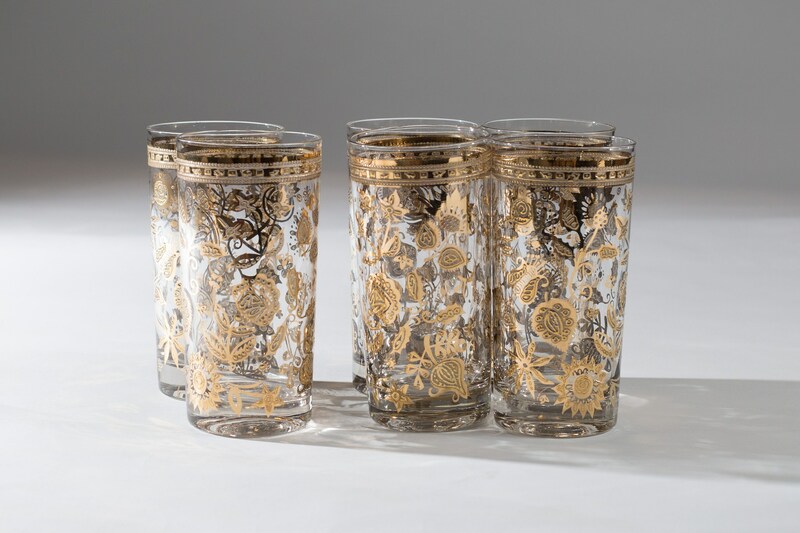 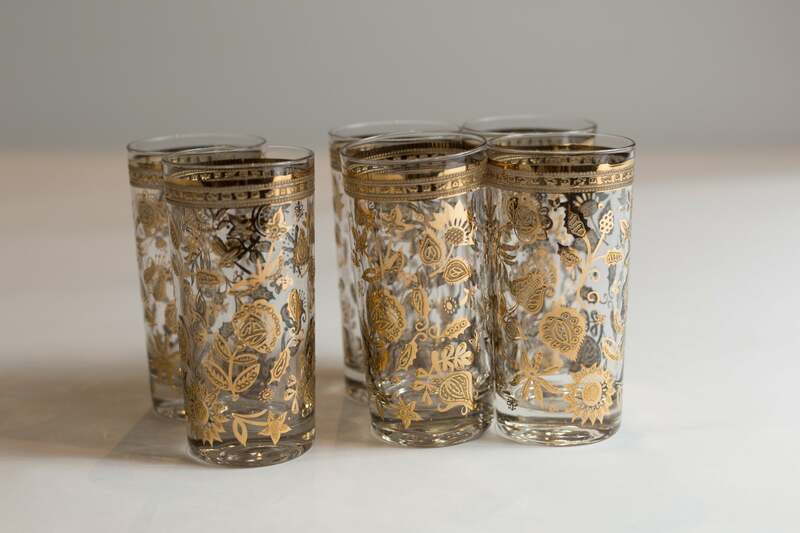 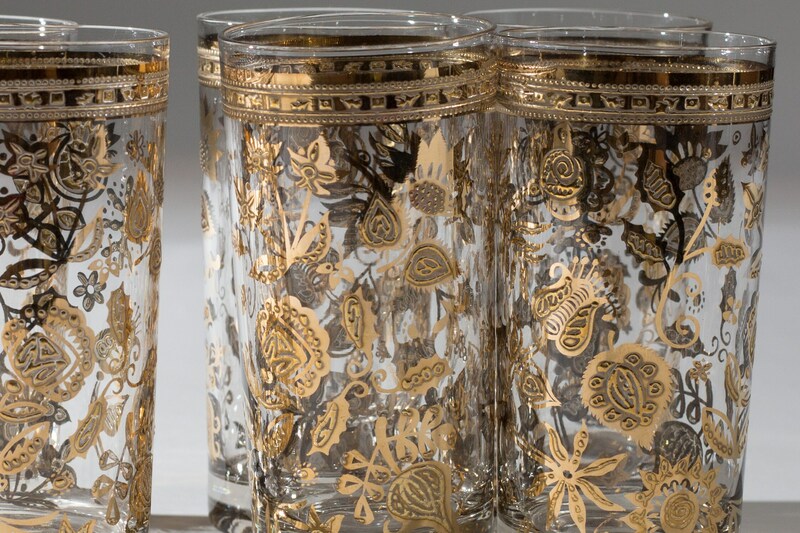 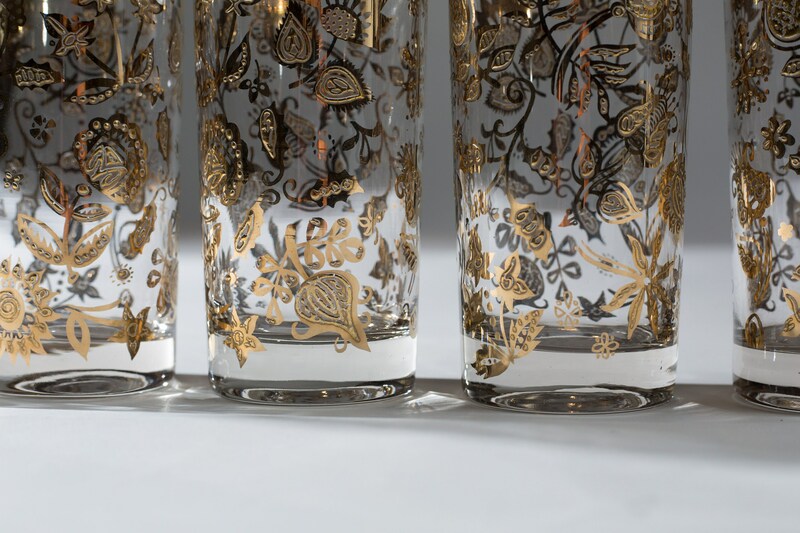 Serve up your fav cocktail in this set of elegant Hollywood regency highball tumbler glasses with gold leaf motifs. 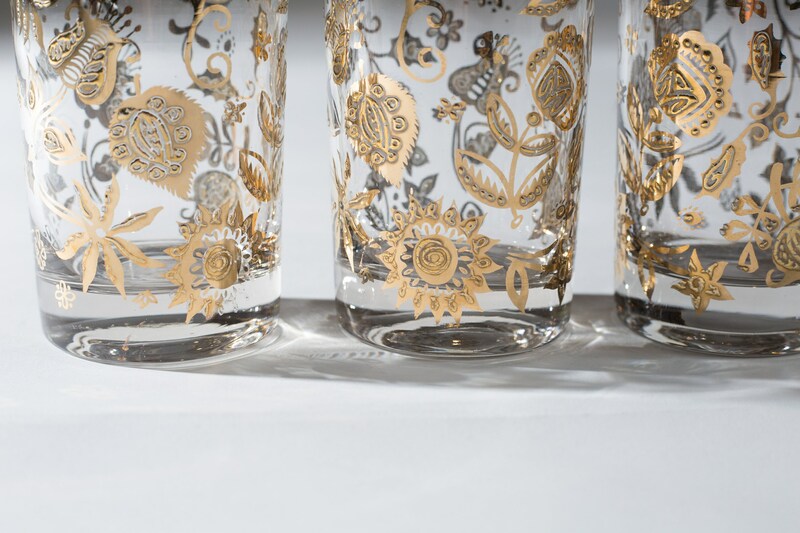 In each photo, the light reflects different off the gold. 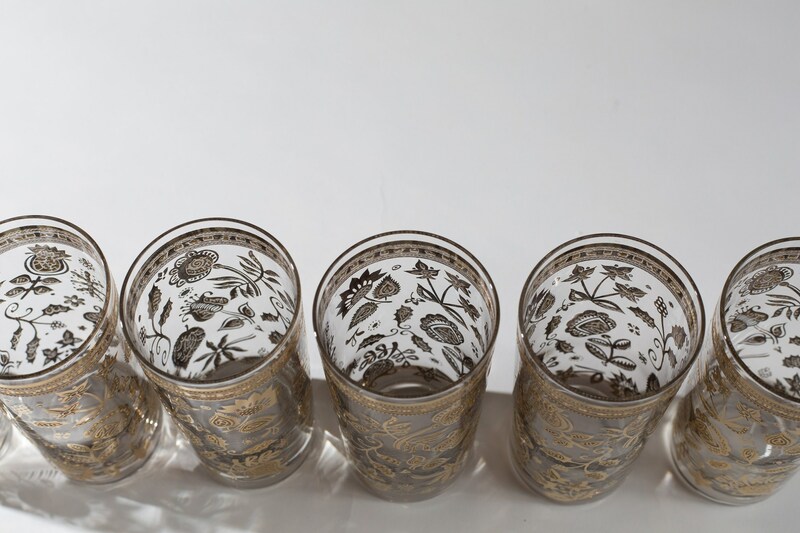 Sometimes it's lighter, sometimes its darker.